The Zimbabwe Revenue Authority (Zimra) has resorted to processing imports and exports of commercial goods manually after technicians failed to resuscitate the Automated System for Customs Data (Asycuda-World plus), which broke down last Wednesday. This has resulted in Zimra clearing an average of 100 trucks per day entering or leaving the country, down from 500. Further, truck parks on the South African side of the border are failing to contain the increasing number of trucks destined for Zimbabwe and countries north of the Zambezi River. Customs clearing agents interviewed yesterday said the system had the worst breakdown they had witnessed this year. “This is not good for business at all, now we are doing the entries manually and the process takes between three and four days to complete,” said a customs clearing agent who preferred anonymity. The clearing agent said they were also being made to pay a deposit of $100 per entry to Zimra for them to have their documents processed. Chairperson of the Shipping and Forwarding Agents Association of Zimbabwe (SFAAZ) Beitbridge chapter, Mr Laddie Gamanya said the situation was deplorable. “We have engaged Zimra over the issue and they have resorted to the manual clearance system as a fall back plan. However, the idea has failed to help matters and we are now having a ballooned backlog of entries as a result of the pace at which the customs officers are processing the bill of entries. Everyone in the trade value chain is affected and we are urging Zimra to seriously address these challenges,” he said. 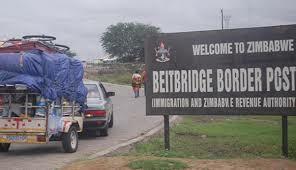 Zimra’s head of communications Mr Canisio Mudzimu said in a statement yesterday that they had put interim measure to ensure the delays at ports of entry were minimised. He said they were working around the clock to restore normal services.